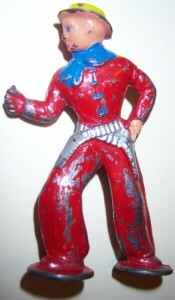 REBOOT: So what can you expect from Lost Cowboy? After many years of blogging – both personally for myself and my closest friends and here – I have learned not to make grand promises and specific commitments. In my professional career in Corporate Communications, I know that consistency is paramount and content is king. My musing about my humble experiences will populate the posts. I will share with you people, places and things I “find” that contribute to enjoying life and making every day count. From time to time, my friends and a network of contributors will share their similar “finds” and experiences, and we hope you will engage us in an active community of comments and sharing of your own thoughts and ideas. Also, expect plenty of self-indulgent posts about the loves of my life, including theater, London, watches, bicycles and bourbon… And of course of the beauty and quirkiness of New Hampshire. So that’s it in a nutshell… expect to find new posts often – some with a little bit of a story and some sharing something we have “found” that caught our attention or begged to be shared. If you seek political commentary, celebrity gossip or snarky sniping, Lost Cowboy is not the blog for you. If you want to join us for a little bit of fun and maybe pick up some ideas for making your day a little more cheerful, then join us. Two things that scream summer to me are a good paperback novel and postcards. 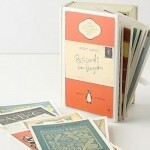 With summer reading lists of classic novels, many of us have held a Penguin classic book in our hands in summers past. Add a certain nostalgia for sending old-school postcards to our friends at the beach or off to camp, and you have a couple of summer rituals that I for one am keen on continuing for generations to come. I love these postcards! My mind is going a mile a minute on what I could do with them. In addition to sending them to friends and family – hand-picking a title of significance for each – I think they would look cool framed or used as bookmarks. Find the Postcards from Penguin here. Lost Cowboy is powered by	WordPress 5.0.4 and delivered to you in 1.173 seconds using 44 queries.